Medical facilities need to be on their toes all the time to ensure that their patients get the best health care and services. In order to gauge the working of their organization, most hospitals and clinics make use of a survey forms which the patients need to fill up. This gives the authorities an idea of the various areas which function smoothly and others that need to be looked into. Designing these forms can be time consuming and sometimes you may not be sure what questions to add in. 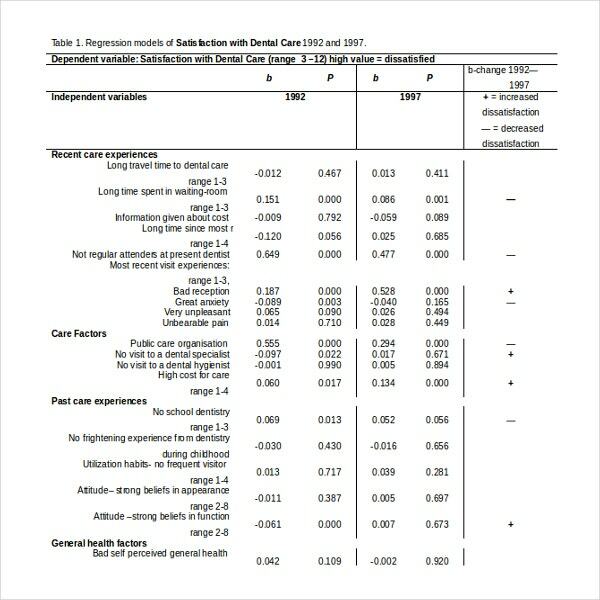 You can also see Patient Satisfaction Survey Template. 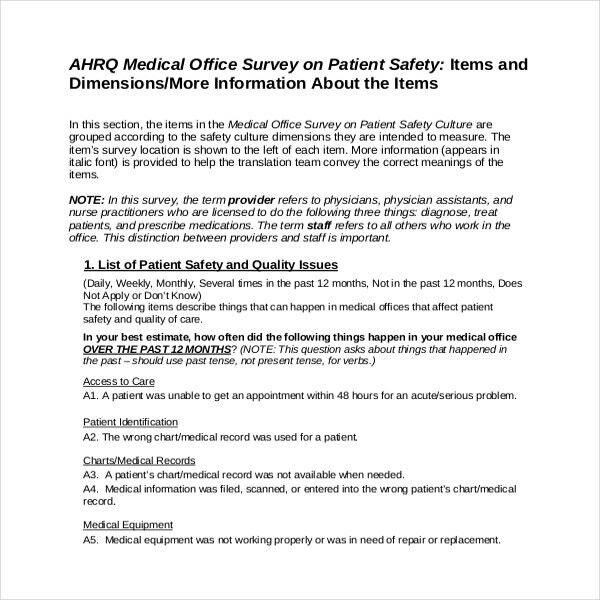 Using a patient survey template in such cases can definitely ease out your work. It is designed by experienced people and consists of all the important questions that are relevant to any medical facility. You can easily customize this and even add in more questions. 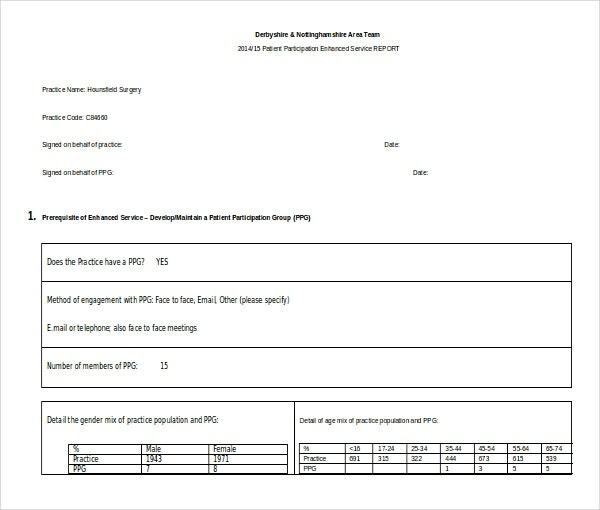 Patient Survey Template are the latest addition to this process of digitization. Just opened a new clinic? Don’t have enough funds to hire a professional to design a patient survey form? Don’t worry. Go ahead and choose the free patient survey template. As the name suggests, this is free of cost. However, when it comes to quality it is as good as the paid ones and contains all relevant questions that you would want to put to your patients. This can be easily customized to add in your clinic logo and other details. Whenever a new patient comes into a hospital or a clinic, the medical authorities need to make sure that they have a good experience. 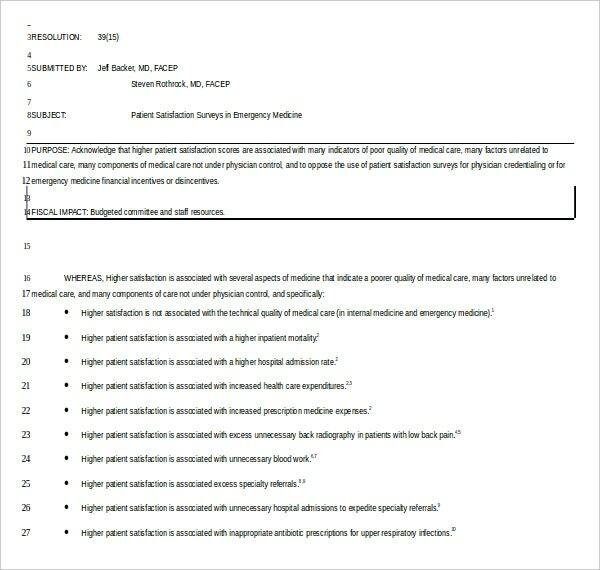 So, they make use of a new patient survey form which helps them analyze what the patient thinks of their employees and the facility as a whole. 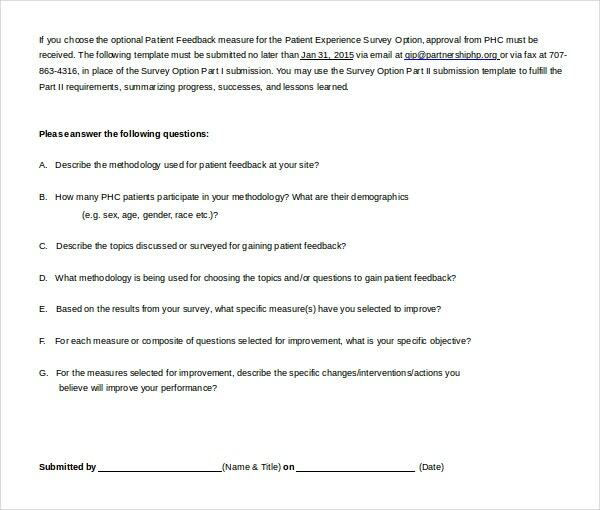 In case, you are not sure how to design such a form, make use of the new patient survey template. It contains all important questions which would help in making your survey worthwhile. Hospitals continuously need to gauge the experience of their outpatients as to their ease of making appointments, interaction with staff, and support from the employees. 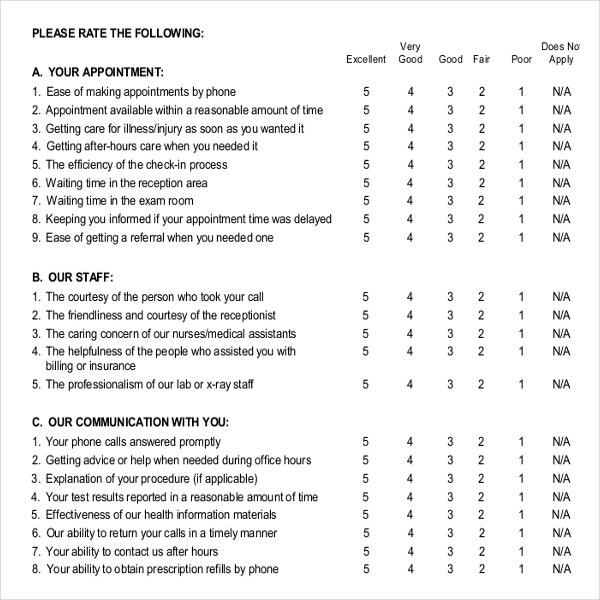 Thus, they use outpatient satisfaction survey form which questions the patients of their experiences. Use an outpatient satisfaction survey template which consists of all the standard questions which a hospital puts to its patients. You can customize this to meet your requirements. The information that you get from a patient survey form is crucial which is why it should be designed with utmost care. Ask the experienced officials in the hospital about the various questions that should be put to the patients. Avoid using complicated medical terms as the patients may not be aware of these. Make sure that the form is not too long as this may encourage the patients to abandon it half way through. 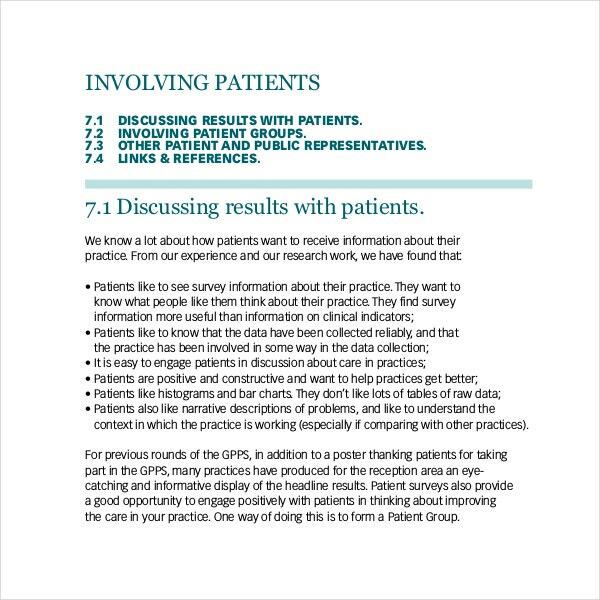 We have a wide collection of patient survey templates to choose from. These can be easily customized and are available in both PDF and MS Word format. These are compatible with most devices and are ready to be printed out. In case, you want us to make any changes to our templates as per your need, please feel free to contact us.